The Summer of 1985 seemed like the longest ever, as day by day more and more of Paragon disappeared. This is one of the smaller “camel humps” of the Giant Coaster being disassembled so that it could be reborn as The Wild One in Maryland. 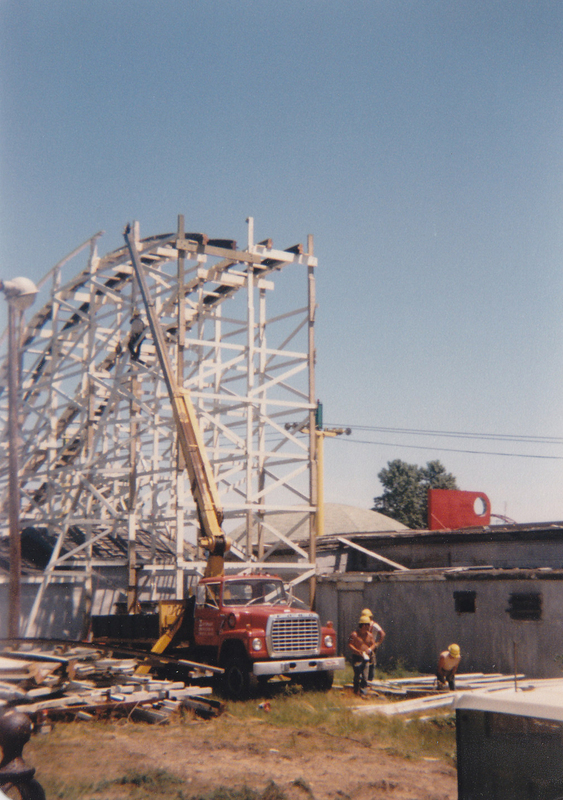 In its 96 years, 1985 was the only season of operation the roller coaster has missed. We’re excited to be compiling the first comprehensive history of Paragon Park at Nantasket Beach. This site will give you information about the project, and how you can contribute your memories and your photos. Watch this space for additional information about the publication date and ordering information. Thanks for your interest! Last one in… misses out on the roller coaster!